High performance metalworking and precision fabrication. Originally founded to support our growing agricultural construction business, Ernest-Spencer Metals (ESM) has grown to become one of the premier metal fabrication resources in the Midwest. We continue to invest in state-of-the-art, CNC fabrication equipment, laser technology, and robotics. Our experienced workforce boasts decades of collective metal fabrication experience, and we continue to improve our methods and processes. 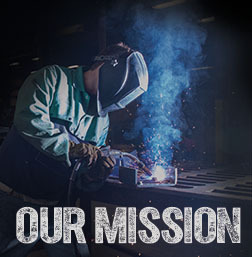 The result is a dedicated staff with the tools, the expertise, and the commitment to meet a wide variety of metal fabrication and manufacturing needs for our customers - quickly, reliably, and economically - while maintaining the highest standards of quality. Interested In Getting A Quote On Your Next Project? 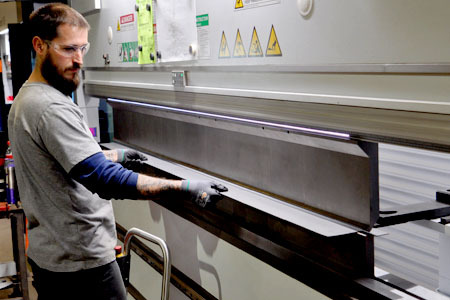 We would welcome the opportunity to talk to you about your needs, whether we can help you with high-quality custom metal fabrication, precision machine shop services, industrial coating services, or turnkey specialty manufacturing support. Ernest-Spencer is a family-based company that values its employees, customers and surrounding community. We strive to provide the finest manufactured goods in the safest, most productive manner possible. Ernest-Spencer is committed to continuous improvement through leadership, training and communication. Our vision is to be a highly profitable company driven by a progressive work environment for our employees, with safety, quality and productivity as our foundation.